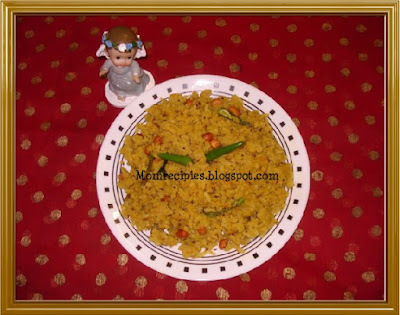 Poha or Atukulu or Rice flakes or Beaten Rice is used widely in Indian homes.Atukula Pulihora is very simple ,easy and quick to make.It tastes very delicious and awesome.My mom makes the best Atukula pulihora . We make it frequently at home. It can be eaten as Breakfast /Brunch /Tiffin.Its a great picnic meal too. 1. Wash the Beaten rice /Poha/ Atakulu 2 times and drain out the excess water. 2. Soak tamarind in enough warm water and extract the pulp to make 1.5 cups. 3. Add salt,turmeric, red chilli powder and powdered jaggery to tamarind juice. 4. 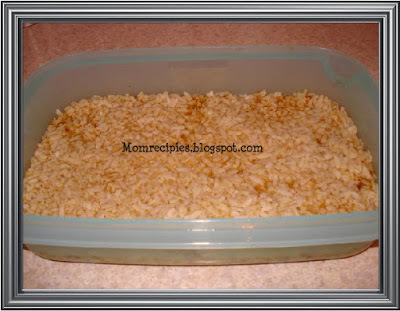 Soak washed beaten rice in the prepared tamarind juice mixture for 15 minutes or until it absorbs all the liquid and the flakes become soft, fluffy and separate. 5. Heat oil in a pan, add mustard seeds and cumin seeds , when the mustard seeds splutter, add urad dhal ,chana dal and chopped green chillies fry for 1 minute. 6. Then add groundnuts when they fry add red chillies and curry leaves and hing. 7. Then Add the soaked beaten rice / atukulu, and well blend with the seasonings. 8. Cover and cook for 8 minutes on low heat. 9. Switch off the flame and garnish with choped coriander. 10. Lip Smacking Atukula Pulihora is ready to serve. Looks yum, I have never tried Puliyodarai with Poha, must try. I love poha especially like puliyogare. Did u use red riceflakes? I used white rice flakes only not red one. we call it puli aval..looks yumm..